Our site Sixanpanth provides information about all types of new jobs, academic news and competitive exam materials in gujarat primary education news and India. From here you can get different jobs news also. Such as education department gujarat, jobs, diploma candidate jobs, MCA JOBS,MBA jobs, low job,after 10 and 12 jobs and various other jobs. Our site is famous for the preparation of competitive exams. We provide complete examination material for examination conducted from TET, HIT, TET, TAT 1,TAT 2,HTAT,Police various. 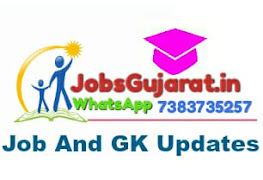 Education Department Gujarat, Gujarat primary education news, gujarat ojas talati bharti 2018, exams books, ojas Jobs in gujarat government, ojas gpsc,ojas call letter download, ojas 2, Employment news, , Exams, Fix Pay Latest update, G.K, Gas/Electricity bill pay, General Knowledge books, Gujarat public service commission, Grammar books, Gseb, Gujarat Sarkar Road transport company ,Gsrtc, Gtu Classes, Gujcat, Hall Ticket, Health Treatment, Answer key, Result, Merit and Selection Lists. We Also Provides GK, All types of books and educational news, Most Important Study Materials for all types of government exams, Related General Knowledge, English Grammar, Gujarati Grammar, Maths, Science books,social science questions.